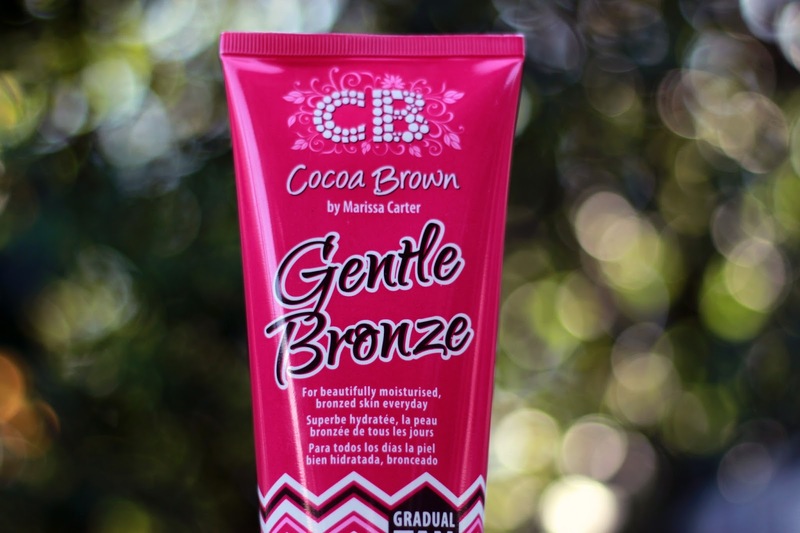 Cocoa Brown gentle bronze - My 'fair girl' tan routine | S J M W E L L - Fashion, Beauty & Lifestyle blog. I'm incredibly pale but I absolutely love my pale skin. 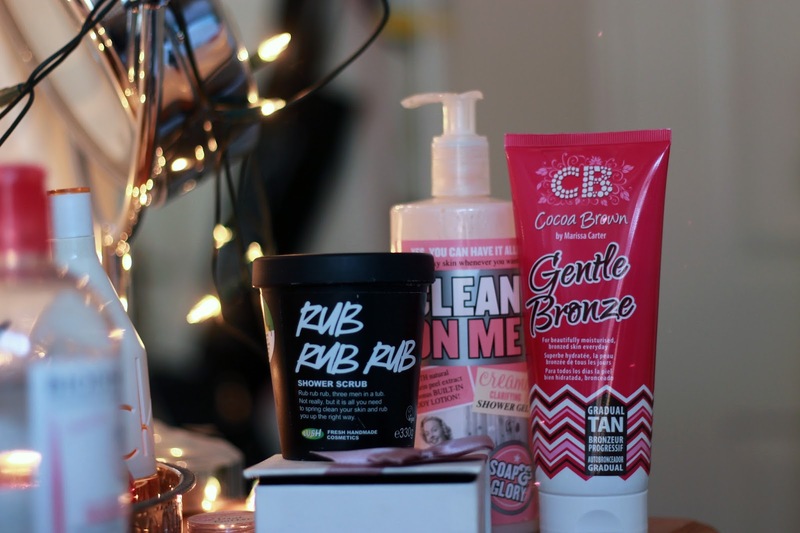 However with these hot days in summer and more skin being on show, I have found my favourite routine to give my fair skin that little bit extra. 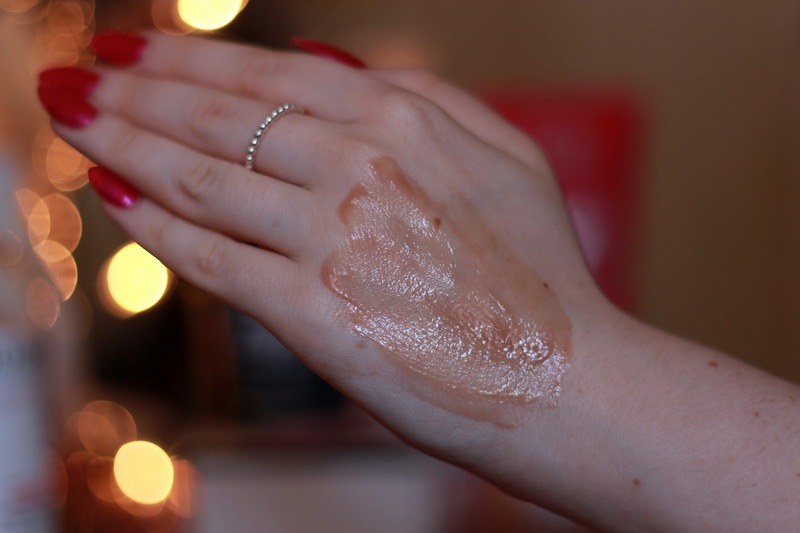 I particularly like that this doesn't make me look overly 'fake tanned' instead it just gives my fair skin that extra something special with it's glowing loveliness. But it's not a one trick pony, for those who want to look really tan, this also works brilliantly. My last attempt at fake tan was 16 year old me using an overnight one in the dark and finding a very dark streaky absolute mess with only the front of my legs tanned the next morning... before p.e at school. Yes, bad experience. I'll admit it now I'm an absolute amateur and the worst at applying fake tan or anything of the type but this is so fool proof, even I've managed to achieve it. Kylie Jenner also recently posted she uses this tan on her Instagram, so I had an attempt at it! I've always pushed anything fake tan aside. 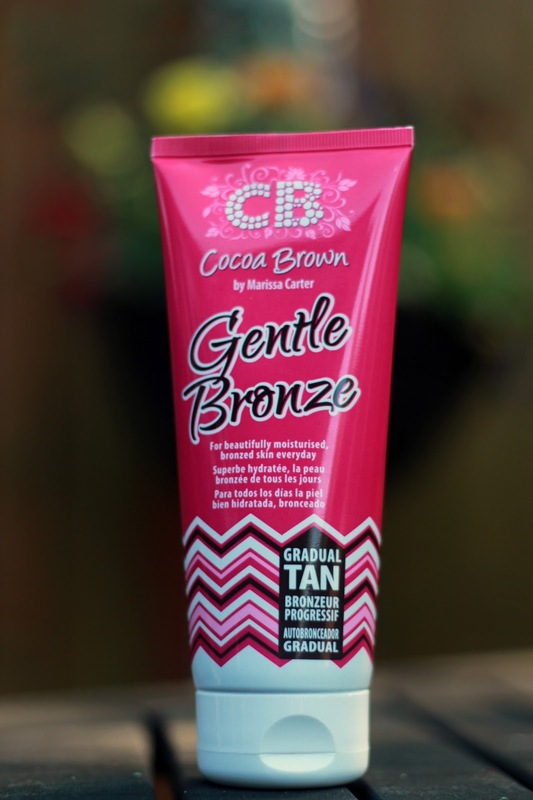 Mainly because I'm in love with my fair skin and don't want to change it all that much, always protecting it from the sun paired with the fact I have no clue on applying tan until I discovered this Cocoa Brown tan. Like the face before make-up, I like to prep the skin before applying the tan so that it goes on evenly. I first use a body brush in circular motions before getting in the bath, this helps with the appearance of 'orange peel' legs and improves circulation. Now to get rid of the dry skin and make sure those pins are smooth. My favourite body scrub is 'Rub, rub, rub' from Lush. I've used it for years and absolutely love it. I use it for the whole body and a tub lasts me ages. For extra exfoliation I use the scrub on dry skin before stepping in the bath. I wouldn't recommend this if your skin is sensitive, I use it on dry skin maybe once every other week so it isn't too abrasive on the skin. Now i've exfoliated, putting moisture back in the skin is top of the list. I use Soap and Glory's 'clean on me' which smells dreamy. It's clarifying and creamy, adding moisture to the skin, the fragrance lasts on the skin for ages after, lovely shower cream! Once I'm out and fully dry I apply my Garnier 7 day moisturiser gel/cream, which dries really quickly (big plus) and leaves the skin supple and smooth. Now for the main part, tan. I apply a medium size amount in my hand and dot it evenly up the leg but not on the knees. I find if the leg is straight and elevated up on something such as the bath you can really apply and blend it out much easier. After dotting up the leg I blend the front and massage around the back of the leg. Once the leg is finished I blend over my knees with what ever product is left on my hands, knees are the give away with tan and can often look dirty I find, so I blend barely any product on. As the tan is gradual I apply this a day or two before if I know I'm going out in a dress with my legs out. I apply it in the evening and by the morning the tan has developed. On me it looks dark with only the one application as I'm so fair but others may want to apply a few times until you have your preferred shade. It gives me a really healthy bronze glow to the legs, almost like a tinted natural sheen. One thing that also put me off tanners is that biscuit smell, I personally don't like it but this CB one smells lovely! 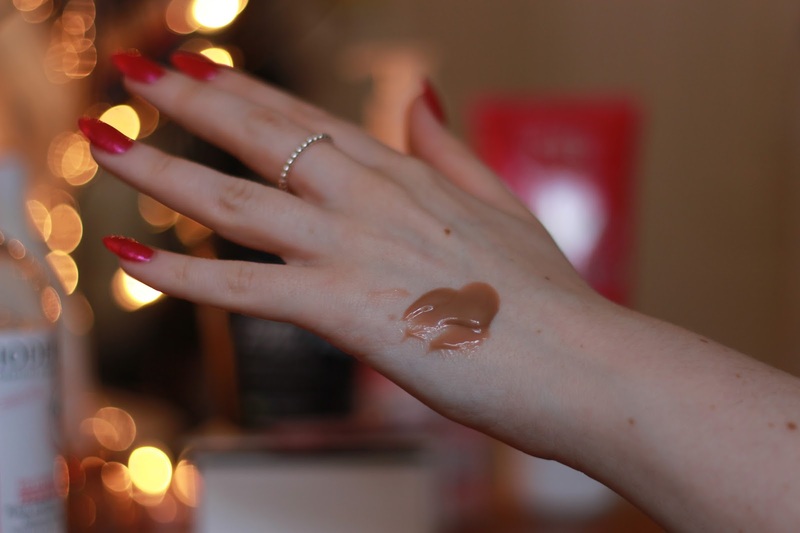 I find the consistency of the product is perfect for getting a seamless blend over your body, it's light and gel like so it's lovely to work with. I also love that it dries really quick and doesn't transfer on to anywhere! Overall I love this tan, it offers me everything I could want at a good price and is fuss free, love.